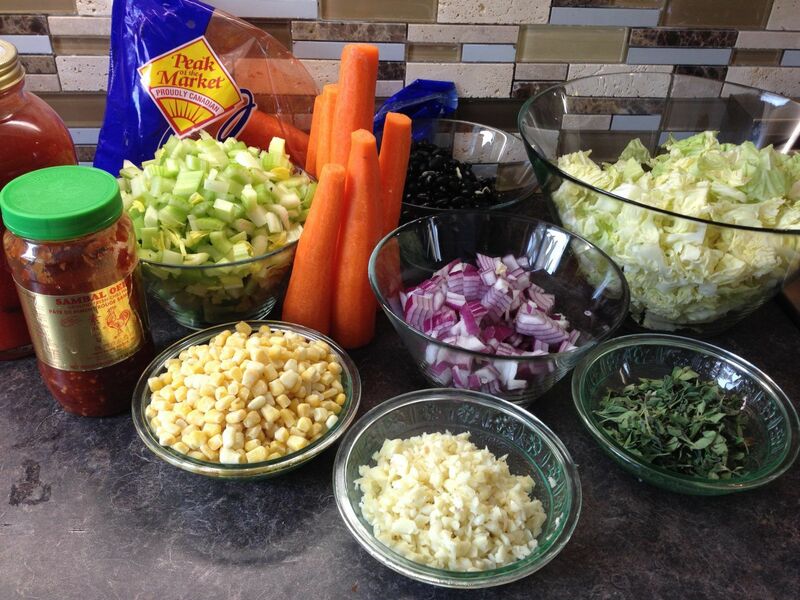 From the Clean Kitchen: Signature Sunday Stew is brought to you by Signature Cleaning Services, your favorite Winnipeg Maid Service and kicks it up this week with some Sambal Oelek Heat. 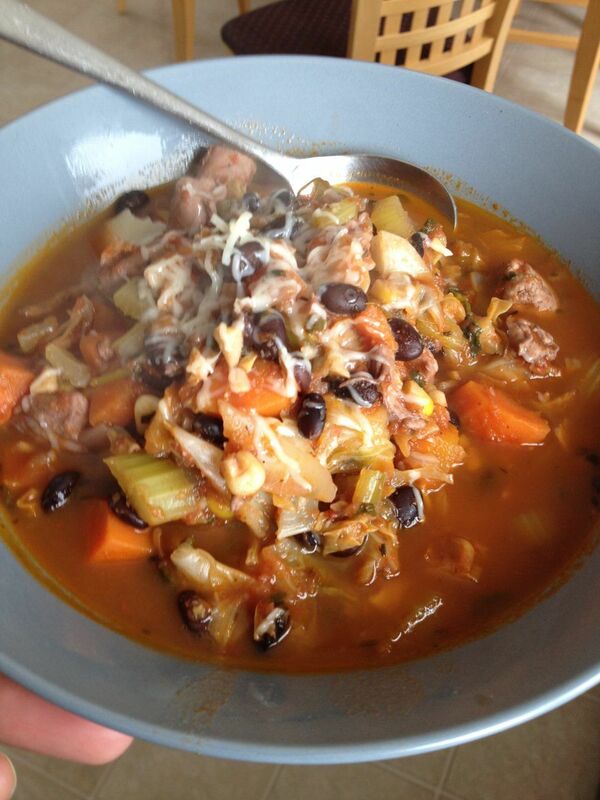 This is the first Sunday stew that made it to the blog. If you want to see more check out our Facebook Page. Everything from Bison Stew to Mahi Mahi Mayhem Stew; you’ll find it there. Clean eating has never been so easy. 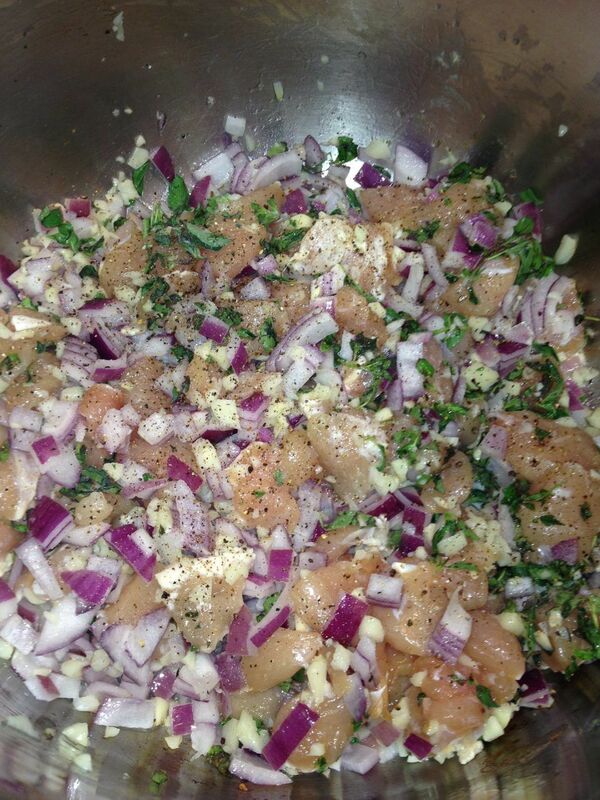 Sambal Chicken Stew begins with a crazy ridiculous amount of garlic…. This week’s Signature Sunday Stew starts with a ridiculous amount of chopped garlic, fresh chopped oregano and red onions sauteed in coconut oil in a Large Pot. I love the way this smell sets the tone. Every meal should start this way. Smell it. Love it. Use a wooden spoon, stir it up. Add the chicken and Sambal Oelek, salt and pepper. Stir again. 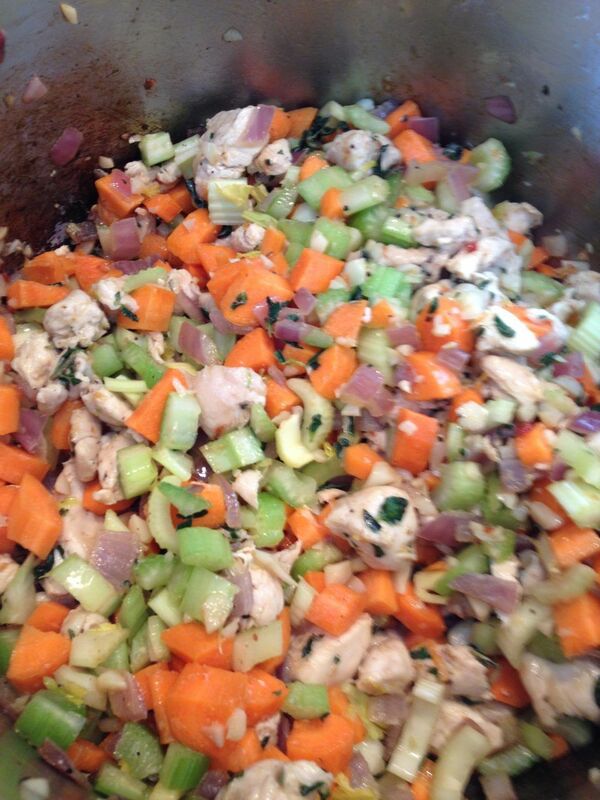 When the chicken is cooked through add the carrots and the celery. Cook until slightly softened. 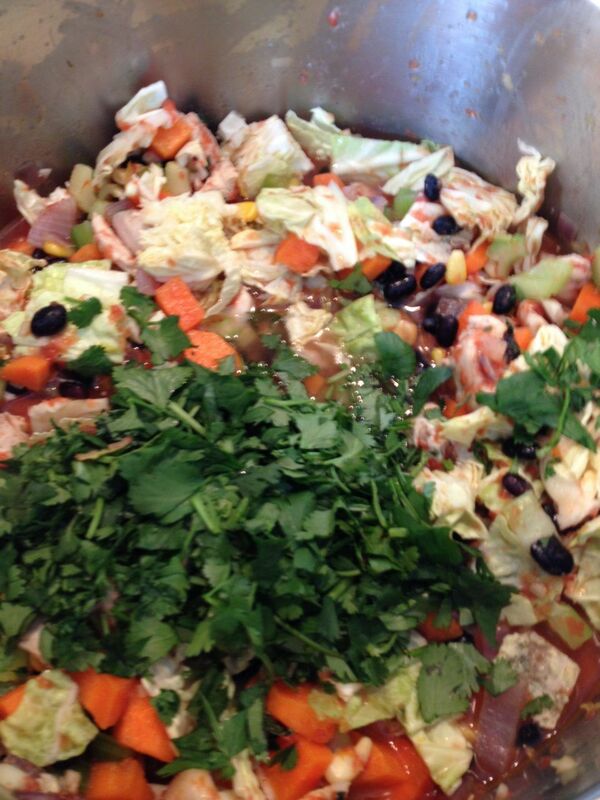 Cook for a few minutes then add the tomato sauce, the cilantro, cabbage, beans and corn. Mix in a little bit of bouillon in two cups of boiling water and add that too. Cover and simmer until everything is cooked through and the flavors are married. Add Herbamare to taste. Simmer Simmer Simmer. Now is the time to taste for Heat. If you like it HOT HOT HOT, add more Sambal Oelek. Once the beans are soft you are ready to plate it. Careful don’t burn your tongue! Grate a little bit of Asiago on top and you are ready for a clean eating feast! Go! Eat! Enjoy! 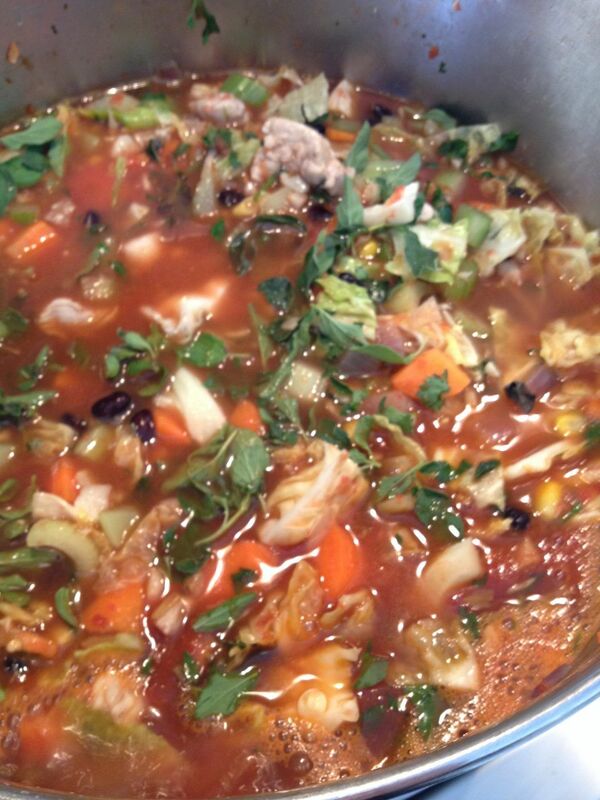 And let us know if you’d like more Signature Sunday Stews!